Lake George RV Park Trolley Service & Free Transportation to Lake George NY! September 7th – Saturday 10:30am – 4:30pm Due to the Adirondack Nationals Car Show Cruise. Guests taking the trolley to the village to view the fireworks (Thurs. during summer) should report back to transfer station immediately following the display in order to ensure transportation back to LGRVP. Guests who do not make their way to the transfer station by the time of the trolleys last run will need to find other transportation back to the park. WE DO NOT RECOMMEND THIS TROLLEY SERVICE FOR THE LAKE GEORGE JULY 4TH FIREWORKS!! 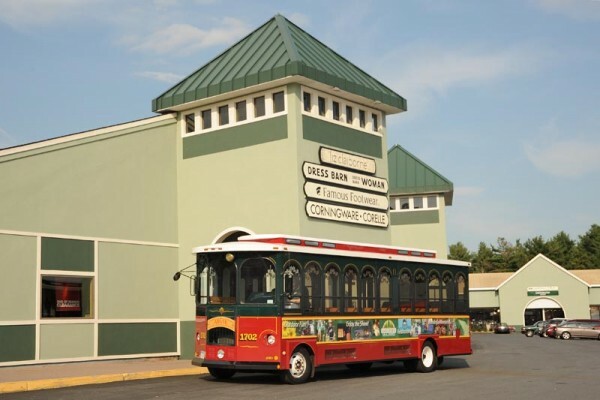 Municipal trolleys will pick passengers up at the French Mountain Commons outlet center (across from the Adirondack Outlet Center) and transport guests directly to the Great Escape & Splashwater Kingdom for a nominal fee (Summer season only). For further information/comments call Greater Glens Falls Transit (518-792-1086) Although the Lake George RV Park promotes the use of the municipal trolley service to its guests, Park management has no control over the operation of this service.